After shooting with the Sony A7r for this last year I’ve come across a lot of cool gear for the A7, A7r and A7s I wish I had, or have needed. I didn’t buy any protection to for my camera and now it’s officially a father. Kidding, but it is beat to hell. I was thinking / hoping it would be more durable since all I’ve ever owned are Canons. Unfortunately, it’s not. This thing is a fragile little guy so you’ll want to keep it protected. Export Shield Screen Protector – (Amazon) – I have this brand for my Fuji. Works great. But I like the Sony above more for my Sony because it is thicker. Sony NPFW50 Batteries – (Amazon) – Don’t buy the Wasabi or cheap third party batteries unless you absolutely can’t afford extra Sony batteries. The Wasabi don’t last as long, and the wall charger will slowly ruin your batteries. Stick with Sony if you can. But if you can’t, the Wasabi will work, just don’t use the wall charger that comes with them. 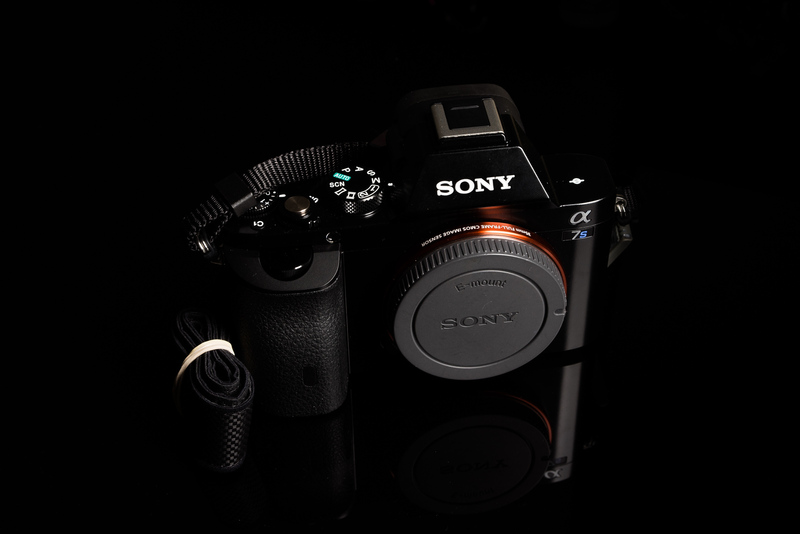 I’ve written a detailed article about buying batteries for the Sony A7 here. SD Memory Cards – I have a whole page dedicated to finding the best SD card for you Sony A7 you can find here. My favorite cards are the Sandisk Extreme Pro. They’re fast enough for the A7r, and I’ve have had no problems with reliability with them. And I’ve used them for years. These only work on the Sony A7, A7s and A7r. Gariz Leather Wrist Strap – (Amazon) – It might come with your half case, but if you don’t get the half case, at least get one of these. You’ll love how portable it makes your camera feel. Gorgy Camera Straps – (Gorgyscamerastraps) – These are really cool. Never use anything like this on your sensor. Never touch your sensor with anything unless your 100% sure you know what you’re doing. I also don’t recommend using liquid cleaners on your lenses either unless you know for sure it’s ok. They can mess with the coatings. I’ve ruined a few UV filter coatings from doing this. I would avoid wet cleaning if you can. People are scratching their sensors left and right. I wrote a whole article about cleaning the Sony A7 found here. Here are a few alternatives to the wet cleaning method. Rocket Air – (Amazon) – Also great for cleaning dust off lenses. There are two good ones I’ve used just for use as a shutter release. One by Sony, one by Fototech. I think the Fototech is probably a better device if you just want a shutter release. You can read more about these here. I wouldn’t shoot HDR or Landscape Photography without one of these. The Meike Battery Grip above also comes with a wireless timer remote. Metabones Lens Mount Adapter – (Canon EF) (Nikon F) (Leica M) – The two big ones are the Novaflex and the Metabones. I use the Metabones. But I think the Novaflex might be better. There are now too many to list here so I’m keeping a page updated with all the latest and greatest full frame e-mount lenses that work natively with the Sony A7, A7r, and A7s cameras. With the Sony A7s being the new hotness in videography, I’ve included a few really nice items that you may want to consider if you’re looking to up your filmmaking game with the Sony A7s. Atomos Shogun Field Recorder – (Amazon) – If you want uncompressed 4k video, here are a few great external recorders that work great for this camera. Zoom H6 External Audio Recorder – (Amazon) – I’ve used the H4N for years now, I have no complaints. Now the new H6N is even better but won’t fit in your pocket. Your choice, but something like this is absolutely necessary to get good sound. Audio-Technica ATR 6550 Shotgun Mic – (Amazon) – I personally use the Sennheiser, but it’s a lot more expensive and this will do the job plus people love it.